Anerlisa Muigai faced off with a fan who dared claim that she was living large with money from her mother and not her own sweat like she claims. 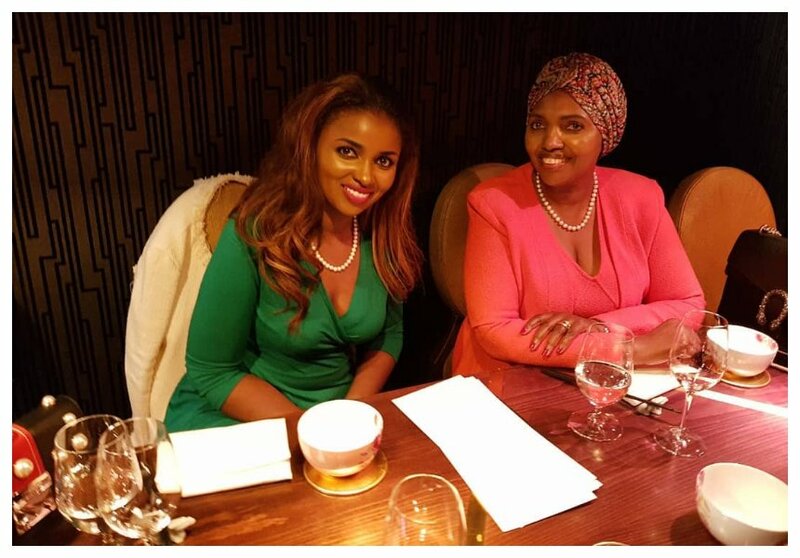 The whole drama started when the Keroche heiress took to Instagram and shared a photo of herself sitting next to a sleek car. She captioned the photo ‘Ladies :- Once you make a little bit of your money, all these nig*as will have some sort of respect for you. #fact’. 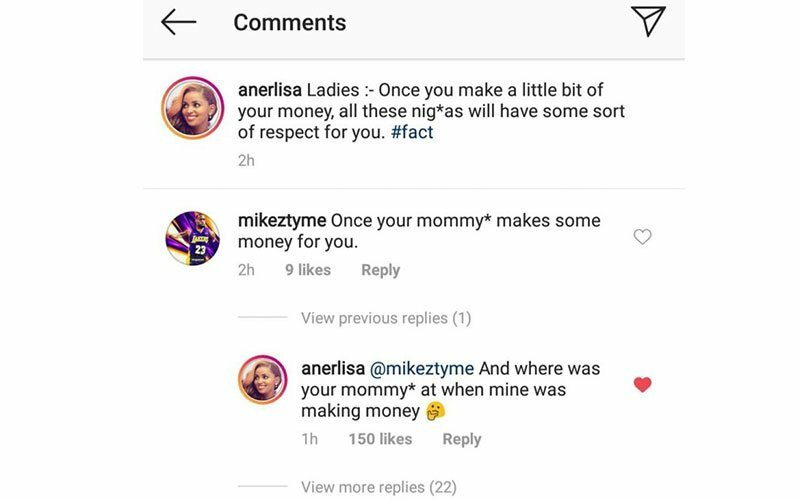 Online user Mikeztyme commented on Anerlisa’s post saying that she was enjoying her mother’s money and not hers like she claimed. “Once your mommy* makes some money for you,” Mikeztyme commented.